As an EB-5 investor, you have a big decision to make early on in the EB-5 process: whether to make a direct investment or an EB5 regional center investment. In this guide, I’ll explore the benefits of an EB5 regional center investment. If you have any questions, feel free to email me directly at Michael@AshooriLaw.com. My law firm is focused on the EB-5 visa and I’d be happy to help you. The EB-5 visa is an immigrant visa which allows foreign investors to get a green card for themselves and their family members by making an investment in the United States. Someone who wants to qualify for an EB-5 visa can choose between making a direct investment or they can invest through a regional center. Regional centers are entities approved by USCIS to sponsor EB-5 projects. Regional centers typically sponsor large-scale real estate developments such as resorts and shopping centers. Regional centers typically pool together EB-5 investment funds from multiple EB-5 investors. Direct investments are any type of EB-5 investment that is not made through a regional center. Direct investments include starting your own business, purchasing an existing business, or investing in an existing business. To qualify for an EB-5 visa, you are required to file a Form I-526 with USCIS. Regional centers have the ability to file “exemplar” or sample petitions through USCIS for the projects that they sponsor. USCIS can then either issue an approval or denial of the exemplar. If an exemplar is approved by USCIS, this means that USCIS has approved the project and all supporting documentation (such as the business plan, the job creation estimates, how EB-5 funds will be used, etc.). The major advantage to EB-5 investors is that USCIS will give deference to the prior exemplar approval. This means that as an EB-5 investor, if you choose to invest in a project with an exemplar approval, the majority of your I-526 petition is already approved. The main aspect of your petition that still requires approval is the documentation relating to your source of funds. To qualify for an EB-5 visa, your investment must lead to the creation of 10 full-time jobs for U.S. workers. If you are making a direct investment, your EB-5 company must employ each of these 10 jobs (also referred to as direct jobs). When it comes time to prove that the jobs were actually created, you must submit Form I-9s for each of the employees your company has hired. Conversely, regional centers are able to take credit for the direct jobs that they create as well as indirect and induced jobs. For example, let’s assume the regional center project you plan to invest in is a large hotel. The existence of the hotel may benefit local restaurants causing the restaurants to hire more employees. Regional center projects can count these indirect jobs toward the total number of jobs created. Additionally, regional centers can use economic formulas and calculations to project the total number of jobs that will be created. They do not have to rely on submitting Form I-9s to show the number of jobs that were actually created. One of the requirements to get an EB-5 visa is that the EB-5 investor must be engaged in the management of the EB-5 enterprise. This means that you must have involvement in the management of the business and cannot be a passive investor. 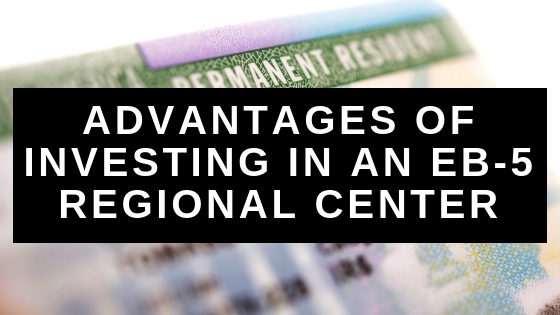 With EB-5 regional center investments, USCIS takes a much laxer approach to this requirement. With regional center investments, an EB-5 investor has very limited (almost no) responsibility in the management of the enterprise. The EB-5 investor’s role in the management of the business is limited to his/her right to vote on decisions. The EB-5project is managed by a general manager. The EB-5 investor is not burdened by the obligation to operate or manage the business. 4. Logistics of Putting Funds "At Risk"
To qualify for an EB-5 visa, you are required to invest $500,000 or $1 million in the EB-5 project. The funds must be put at-risk before the EB-5 investor’s petition is filed with USCIS. This means that the investment funds cannot just sit in the investor’s business bank account. The funds should actually be spent or committed in some fashion. Most regional center projects allow the EB-5 investor to deposit their investment funds in an escrow account. The funds are then held until approval of the I-526 petition. Through this escrow arrangement, the EB-5 investor satisfies the requirement to keep the funds at risk while their EB-5 petition is being reviewed. Part of the process of getting your green card through the EB-5 visa program is to decide whether you will make a direct investment or invest through an EB-5 regional center. Each of these options has its own advantages. With respect to regional center investments, the advantages include: 1. exemplar approvals; 2. indirect job creation; 3. limited management responsibilities; and 4. logistical advantages. The investment-type that is right for you will depend on your particular goals and circumstances. 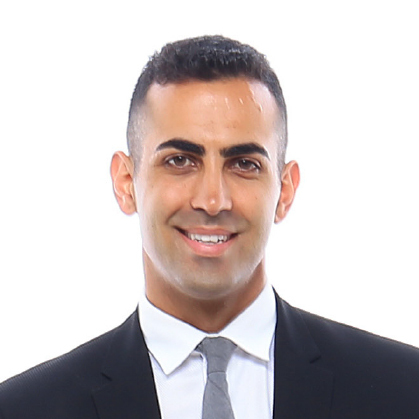 To discuss your particular case, feel free to email me directly at Michael@AshooriLaw.com. My law firm focuses on helping EB-5 investors and we would be happy to help you.